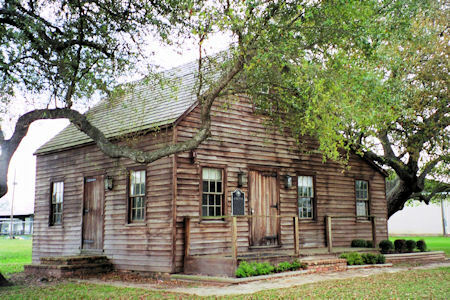 About 1833 Leman built a story and a half clapboard structure. When Columbia became the capital of the Republic of Texas the building was one of two which housed the newly formed government. The first Republic of Texas Congress convened in Columbia. Here Sam Houston took the office as President and Stephen F. Austin as Secretary of State. 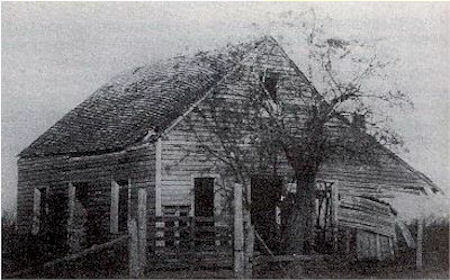 In 1837, the government moved to the new city of Houston. "I, Sam Houston, President of the Republic of Texas, do solemnly and sincerely swear, that i will faithfully execute the duties of my office, and to the best of my ability, preserve, protect, and defend the Constitution of the Republic."